Digitalisation is everywhere. Every day we benefit from it and have it to thank for numerous convenient processes: we can buy online, read books on digital displays and work on the go on tablets. Digitalisation and networking are also playing an ever greater role in the professional coffee machine segment. With the innovative WMF Coffee- Connect digital platform, WMF has made another quantum leap towards optimising the coffee business of their customers. Management of professional coffee machines as a service provider: As an integrated database for all product and process data, WMF CoffeeConnect lays the foundation for sustainable business models. Sales figures as well as service information and error messages can be viewed at any time and from any location. 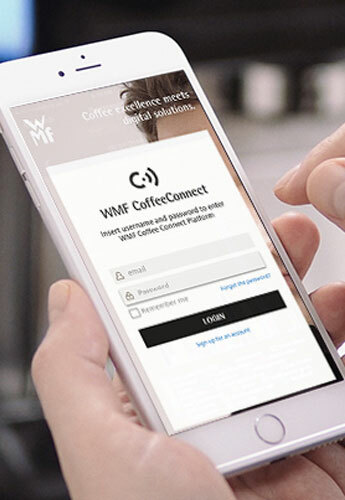 For more information about WMF CoffeeConnect please click here.